Today in New England Patriots history we say happy birthday to Charlie Weis. He was part of the Pats coaching staff for eight seasons. Weis earned three Super Bowl rings as the Patriots’ offensive coordinator for Super Bowls 36, 38 and 39. He won another ring as part of Bill Parcells’ coaching staff when the Giants beat the Bills 20-19 in Super Bowl 25. Weis was a Patriot position coach for four years and offensive coordinator for five seasons. He owns four Superbowl rings and has 36 years of football coaching experience. Weis had 11 years of high school and college coaching experience when he joined Bill Parcells’ New York Giant staff in 1990. After three years with the Giants he rejoined Parcells in 1993 in New England. Weis was the TE coach in 1994 when Ben Coates was an All Pro, with career highs of 96 receptions and 1174 yards receiving. The following season Weis was the RB coach, when rookie Curtis Martin rushed for 1487 yards and 14 touchdowns. Then in 1996 as the WR coach, rookie Terry Glenn had a career-high 90 receptions, and 1132 yards receiving. Weis followed Parcells out of town the next year to spend three seasons as the offensive coordinator for the Jets. Then in n 2000 Bill Belichick added Weiss to his newly formed staff in New England as offensive coordinator. As the OC Weis had a critical role in Tom Brady’s first NFL season as starting quarterback. That 2001 season of course culminated in the first of seven (and counting) Patriot Super Bowl victories. All his then-neophyte quarterback went on to accomplish was to become the best there ever was. Not a flash in the pan, Weis earned two more rings in Super Bowls 38 and 39. He left New England to become head coach of Notre Dame in 2005. Later he was the OC for the Kansas City Chiefs in 2010, OC for the Florida Gators in 2011, and head coach at Kansas from 2012-14. Though he may be bored now that he is no longer working, his family should be set for generations thanks to buyouts. Aside from Charlie Weis there are a couple other March 30 birthdays. Chapple was a productive punter and kicker at the University of California at Santa Barbara. In 1966 he kicked ten field goals, which would have been an NCAA record at that time – but Jan Stenerud kicked 13 the same year. Chapple was an All-American and selected by the San Francisco 49ers in the 1969 draft. A slipped disc delayed his football career and he eventually signed with the Bills in 1971. The following year Chapple joined the Rams and was named to the Pro Bowl, averaging 44.2 yards per punt. Perhaps even more impressive is that his net average was almost the same, 42.1 yards per punt. In one game at Soldier Field he averaged over 50 yards on his five punts. Chapple’s punts started losing distance though, perhaps due to the bad back. He went from LA to New England in 1974. With the Patriots he averaged 35.4 yards on 26 punts, and did not play in the league again. In 40 NFL games he averaged 40.2 yards on his 162 punts. With his pro football career over, Chapple rediscovered a hobby from his youth: painting. Over the last 40-plus years he has been an accomplished artist, particularly in oil paintings and sculptures. A bout with rheumatic fever meant that the ten year old boy was confined to bed for many months. During this time he dreamed of the days he'd spent in the Sierras and studied many bird books. He had already won several school sponsored art contests and decided to use the time to develop his natural artistic talent. The books and his pencil were his constant companions. Like most young boys, Chapple dreamed of participating again in sports but was not permitted to exercise strenuously because of the illness. Eventually, it occurred to him that kickers did little running, and he saw that as the solution to his problem. As in drawing, Chapple found that 'practice makes perfect' in punting. After an appearance in the Sugar Bowl as a college senior, he was drafted by the San Francisco 49rs. Later, he was acquired by the Los Angeles Rams, and in 1972,as an All-Pro Punter, led the league in punting and set an NFL record for the longest punt. In the first year of the Pete Carroll era the Patriots selected Canty with the 29th pick of the 1997 draft. That choice by Bobby Grier, with Bill Parcells no longer over his shoulder, would go down in infamy as one of the worst draft picks in the history of the franchise. Canty seemed to put more effort into his excessive celebrations over insignificant plays than in becoming a productive player. The Pats jettisoned the defensive back after just two seasons, and he was out of the NFL two years later. He later spent four years playing Arena football, but never made it back to the NFL. Only one Patriot with an April 2 birthday. Lofton played all 14 games in the inaugural season of the Patriot franchise. The 6'6" alum from Southeastern Louisiana had four touchdown receptions that year. His first TD was the second in franchise history. That came on a 60 yard pass from Tom Greene against the New York Titans at the Polo Grounds on September 17, 1960. The Pats were down 24-7 at the time and the TD sparked a second half rally. That game culminated with Chuck Shonta's epic 52 yard fumble return for the game winning score as time expired, giving the Patriots a 28-24 victory over the team that would later be known as the Jets. Shonta finished the season with an average of 18.9 yards per reception, on 19 catches. His pro football career was derailed after being drafted during the Berlin Crisis, and he served in the military for two years. Lofton suffered a hamstring injury during the following Patriot training camp, and he never got back on the field after that. Houston Antwine is selected to the Patriots Hall of Fame by the ten-person Senior Selection Committee. The good news was that an egregious oversight was finally corrected. The bad news was that it took so long to happen. Antwine never had a chance to enjoy the honor: he had passed away three and a half years earlier. There was an old blog that has since been devoured by defunct hard drives, but the fact that I actually received a response from Russ Francis was - and still is - a very cool thing to me. Your comments from last year, on my birthday, were sent to me by a friend. I wanted to thank you both, John and Emerson, for your kind and funny thoughts and comments. It was a very special time in my life. While I had the time of my life both in New England and San Francisco, I started and ended in New England with the Patriots and those memories are etched in the bedrock of my soul as some of the most joyous and spectacular days and Monday nights of my life. When I first saw that the AWTE had responded, I assumed somebody was just screwing with me. For those of you that are too young to see him, my condolences. Happy 66th birthday to Russ Francis. The Patriots publish the premiere issue of Patriots Football Weekly, the team's official newspaper. It is with mixed emotions that we must inform you that PFW will stop publishing at the completion of the 2018 season. After 24 seasons of PFW, it was a difficult decision to stop printing the newspaper, but as you know, how most fans consume their content has changed. Let's face it, keeping up with the fast-paced news cycle isn't easy with a weekly newspaper! To that end, the staff of PFW will be providing you with even more content on the various Patriots platforms including Patriots.com, the Patriots app and all of the Patriots social media accounts. Thank you for being a PFW subscriber and fan! In celebration of a long-standing construction tradition, the final beam was hoisted into place at CMGI Field to signify the "topping off" of the structure's steel. Another milestone was reached in the building of the new CMGI Field when the final steel beam was hoisted onto the facility's upper northwest corner Tuesday. Beverly played in 21 games with 4 starts for the Pats, with two interceptions. He was primarily a special teams player, and later spent a season in the WFL. He is best known for two plays in Super Bowl III. The Jets had managed a solid defense throughout the season, but going into Super Bowl III, the Jets passing defense was not considered particularly strong. With the Jets installed as an 18-point underdog, Beverly's small stature made him a main target of Colts' quarterback Earl Morrall. However, Beverly put together a remarkable performance, becoming the first player ever to record two interceptions in a Super Bowl. In the first quarter, the Colts drove down the field, seemingly fulfilling the predictions about their offensive prowess. Reaching the Jets' 10-yard-line, Morrall threw a pass into the end zone, but the pass bounced off a Jets lineman, then hit the shoulder pads of Colts tight end Tom Mitchell. Beverly tracked the ball and caught it in the end zone, ending the Colts first drive. Anderson played in 13 games for the Pats with 11 starts. He had two interceptions and two fumble recoveries in Chuck Fairbanks' first season as head coach for the Patriots. The Pats acquired Anderson in a September 1973 trade with Pittsburgh. The Steelers used that 4th round draft pick on WR John Stallworth - who they were initially going to select in the first round - but chose Lynn Swann instead. Stallworth went on to play 14 seasons in Pittsburgh, and is in the Pro Football Hall of Fame. Anderson never played in the NFL again after that 1973 season. Whether it was by design or just coincidence, I find it fitting that Leon Gray is elected into the New England Patriots Hall of Fame on John Hannah's birthday. Morris played in all 14 games of his rookie season, and immediately became known as one of the most dominating centers in football. Morris took home the team’s Rookie of the Year award in 1964, while also winning All-AFL honors and a spot on the AFL All-Star team. The Holy Cross product would go on to show that he was no one-year wonder, either. Morris was selected to every AFL All-Star team from 1965-1969, being named All-AFL each year. The center was an absolute iron-man, as he never missed a game during his AFL tenure. The AFL merged with the NFL prior to the 1970 season, and Morris went down as one of the best players in the AFL’s history. His great play and long list of accomplishments earned him the honor of being named Second-Team, All-Time All-AFL. The First-Team selection, Oakland Raiders center Jim Otto, played four more AFL seasons than Morris. Much like fellow Boston Patriot Gino Cappelletti, Morris remained connected to the Patriot football scene after his retirement. Starting in 1979, Morris served as the primary color commentator for the Patriot radio games. Morris would eventually relinquish the post in 1987 after receiving a better offer with NBC Sports. Morris had an incredible impact with the Patriot organization, both on and off the field. “I give the Krafts all the credit for making the alumni feel so special and I look forward to being a part of this year’s hall of fame ceremony,” Morris added. Morris' selection was made by the newly formed Senior Committee. Morris will be joined this year as an inductee by one of three yet-to-be-announced finalists. A member of the Patriots' 50th anniversary team, 35th anniversary team, and 1960s all-decade team, Morris was a six-time AFL all-star. He had been a finalist for induction in 2008, 2009 and 2010. Believe it or not, Jim Otto was not the only man to play center in the American Football League! As incredible and enduring as we was (and he was both), Jim Otto garners nearly 100% of the attention when the center position is brought up in regards to the AFL. But there were other very fine centers through the league, Sam Gruneisen, Jon Gilliam and Al Bemiller, to name a few. From 1964-1974, Jon Morris played center for the Boston Patriots. Drafted out of Holy Cross in the second round of the 1964 AFL Draft, Morris won the Patriots’ Rookie of the Year honors in ’64, and settled in for his 11-season stay as leader of the Patriots offensive line. In 2011, after many near misses, Jon Morris was inducted into the Patriots Hall of Fame. Jon Morris was a sensational three sport athlete in high school and played center and linebacker for three seasons at Holy Cross College, where he was the New York Daily News' "Athlete of the Year" in 1960 and Varsity Club Athlete of the Year and Lineman of the Year in 1963. Morris was selected All-East and All-America in his senior year, played in the College All-Star Game and captained the Senior Bowl. He was inducted into the Holy Cross Hall of Fame in 1973. The Packers were unable to lure him as a No. 2 draft choice and the Patriots signed him as their third pick. Morris was the Patriots' team Rookie of the Year in 1964, and their Unsung Hero in 1965. * Note: At the time Morris actually ranked 7th in the history of the Patriots in number of games played with 130. He now ranks 35th, tied with Logan Mankins in that category. And that led us down another road. Several other former Patriot players have been diagnosed with CTE. Aaron Hernandez most recently, Junior Seau, Mosi Tatupu and Kevin Turner also played for the Patriots. These men or their relatives are part of the group of 5,000 retired football players involved in a class action lawsuit against the NFL. Other retired players from the 1970’s like Jon Morris, a former team captain and a member of the Patriots Hall of Fame, awaits the findings of baseline examinations. Morris played 11 seasons with the Patriots and snapped the ball to at least two quarterbacks, Jim Plunkett and Joe Kapp, who suffer from neurological disorders. Marty Schottenheimer, now 74 and a coach with an outstanding history, reports that he is struggling with Alzheimer’s. Bill Johnson, who played defensive back with Schottenheimer, lives with Alzheimer’s and has pledged his brain for research. The heroes of 1960’s and 70’s played football in a time when salaries were low and players relied on off-season work to make ends meet. Little was known about concussion and players were coached to lead with their heads. Concussion awareness in that era was low allowing players to be returned to the game often after a violent collision. Billy Johnson suffered a subdural hematoma attempting to take down Larry Csonka, a Dolphin’s running back in 1970. Johnson has no memory of the game but he participated in the next practice and played in the next game. He contemplates committing suicide as he lives with cognitive deficits and memory loss. John “Bull” Bramlett was known as “The Meanest Man in Football” joined the Patriots in 1969, He helped the team develop a reputation and earned much recognition for his ferocity of the field. He died at 73 from the complications of Alzheimer’s. Bill Lenkaitis studied dentistry in the off-seasons; joining the Patriots in 1971 he earned a spot on the Patriots All-Decade team. By his late 60’s he lost interest in his dental practice and according to his wife he was showing the signs associated with CTE. Lenkaitis died in 2016 from Glioblastoma, an aggressive brain cancer, but the toll of concussions was showing long before that. Dennis Wirgowski played football in high school and college and excelled in other sports, he joined the Patriots in 1970 and was traded to the Philadelphia Eagles in 1973. As he aged he lost the athleticism that had marked his life and following an orthopedic injury was confined to a wheelchair.He spoke with his football friends about his increasing depression and began to collect articles about former football players who committed suicide. On January 25, 2014 he killed himself with a borrowed shotgun. Foxborough is selected to be the new playing site for the Patriots. On April 4, 1970, the organization announced its move to the town after playing 10 years in Boston. The official ground-breaking for a new stadium, which was later named Schaefer Stadium, was held five months later on Sept. 23, and the park was opened nearly one year later. The Foxborough Bay State Raceway was the proposed site of a new Patriots stadium in 1970. The Boston Patriots had played in various venues in the city for their first 11 seasons, including Fenway Park from 1963 to 1968. During the prime of his NFL career, Art's life took an unexpected, near-fatal turn. Former professional football player Art Moore has done charity work all over the country. He recently moved to South Mississippi from Baton Rouge, LA. Now, he's looking to spread his message of hope and inspiration across the coast. Standing 6'6", in the 1970s, Art was known as one of the most dominant defensive lineman in the NFL. "They say I hold the most single season tackles against OJ Simpson," Art said. "I played against the Namaths and the Terry Bradshaws." Kuberski served in the Navy for two years before playing in Green Bay for four years. He earned a Super Bowl ring there when the Packers defeated the Patriots in the 96-97 season. Kuberski played in five games with the Pats in what was his final NFL season. Kuberski has enjoyed a very successful post-football career. Following his rookie season in Green Bay he worked as an intern at Associated Investment Services. He then worked as a financial advisor at Morgan Stanley, ten years as Regional VP for Invesco, and head of retail sales for Ridgeworth Capital Management. Kuberski is now the Director of Global Relationship Management at Eaton Vance Investment Managers. Kilroy was a member of the New England Patriots organization for the past 36 years, serving as personnel director (1971-78), general manager (1979-82), vice president (1983-93) and scouting consultant (1994-2007). He was a contributor to 14 of the club’s 15 playoff seasons, including all five of the franchise’s trips to the Super Bowl. Long became a starter at left tackle his rookie season and was an immediate upgrade at the position, replacing George McGee. He was named to the AFL All-Star team at LT in '62. The following year the Pats had a hole at left guard, and he moved inside to man that position. The transition went smoothly as the Pats made it to the AFL championship game, and Long was again named to the All-Star team. Charlie Long was a steady and reliable performer for the Patriots, missing just two games over his nine seasons with the Patriots. Along with his two All-Star selections he was also awarded inclusion to the Patriots All-Decade Team of the 1960s. There is a strong suspicion that the most valuable member of the Patriots last season was Bill Bates. Bates does not run, pass, kick, block or tackle. He tapes. As the team trainer, Bates taped the Patriots to a 4-8-2 record, worst in Boston history. But, in retrospect, it is difficult to understand how he and the team did that well. Eaton worked his way up from being a practice squad player cut by three other teams, to a starter on the Patriot defensive line. He was good enough that it paid off with a $10 million free agent contract in 2001 - though that also meant that Eaton missed out on the glory of Super Bowl 36. The following season he was picked up by New England, which is where he teamed with Ben Coates, the Pats’ standout tight end who is now the CSU offensive coordinator. He became popular with Patriots fans because of his blue-collar play and colorful ways. His grit and energy caught the interest of head coach Bill Belichick and they forged a pact. Ebert caught 137 passes for 2,013 yards and 19 touchdowns in his final two seasons at Northwestern. The Pats cut him at the end of the 2012 training camp, and the Eagles signed him to their practice squad. He rejoined the Pats in November, signed to the practice squad after James Develin was promoted to the 53-man roster. The Patriots released Ebert following the 2013 draft, after selecting Aaron Dobson and Josh Boyce, and then signing undrafted rookie free agents TJ Moe and Kenbrell Thompkins for the wide receiver position. In 2013 Ebert bounced back and forth between Jacksonville's 53-man roster and their practice squad, Ross Ventrone-like on an almost weekly basis. Ebert finished his NFL career with three receptions for 18 yards. The Ravens signed Quarles as an undrafted rookie out of Wake Forest in 2012. He did not survive final roster cuts at the end of training camp, and the Patriots signed him to their practice squad on September 12. Quarles was released two weeks later to make room for DL Marcus Forston. The Pats re-signed Quarles to their practice squad in December. After the 2012 season ended and practice squad players become free agents, he signed with Chicago. Quarles was cut before the end of the 2013 training camp, thus ending his NFL career. He now works as an account executive for Ricoh in Baltimore. Robotti was a linebacker and fullback for Mike Holovak at Boston College, where he was also a standout baseball player. He played in 12 games for the Pats with two interceptions before chipping a bone in his right ankle on December 5, 1961. The Patriots drafted Nick Buoniconti the following off season and signed him to a no-cut contract, and Robotti's playing days with the Pats were over. Robotti moved to Florida, got married, did some coaching and worked for Coca-Cola. The gang from Stamford stayed in touch until August 14, 1971 when Robotti was age 32. "Frank was still close to all of us. But there was a car accident," said Gene Bonina. "Frank died. We were all shocked." White was a career backup and special teams player. He re-joined with Bill Parcells in '93 after five NFL seasons, the first four having been with the Giants. He played in each of the first five games of the '93 season for the Patriots, with four starts. From 1999 to 2000 White coached football at various levels, primarily as a defensive backs position coach. He was in the WLAF/NFL Europe for 11 years, Southern Illinois University for two seasons and Indiana State for one. White was also with the Buffalo Bills from 2008-2012, and spent one year in Arena football. The former University of Cincinnati Bearcat was a replacement player during the '87 strike season under Raymond Berry. Purnell played in 34 games with seven starts over three seasons with the Pats. He had five touchdowns on 19 catches for 159 yards, averaging 8.4 yards per catch. He also had two receptions in three playoff games with the Patriots. In 2007 Purnell was inducted to the Delaware Sports Museum and Hall of Fame. Wright is most well known for being the player that the Patriots received when Logan Mankins was traded to Tampa. Overlooked at the time was the fact that New England also received a 4th round draft pick, which turned out to pay better dividends: that was used to select Trey Flowers. Tim Wright had six touchdown receptions with the Pats in 2014, appearing in all 16 games with 8 starts. He had 26 receptions for 259 yards (10.0 ypc), but was waived prior to the start of training camp the following year. The Bucs re-signed Wright, then traded him to Detroit prior to week one in 2015. He didn't do much with the Lions (9 receptions for 77 yards and 2 TD) in '15, and spent 2016 on IR. KC signed him in 2018, but he did not make the 53-man roster. His career NFL stat line is 907 yards on 89 receptions, with 16 touchdowns in 41 games. He also has a ring from the Pats Super Bowl victory over Seattle. Suci spent four seasons in the AFL with the Oilers and Patriots, but unfortunately a knee injury cut his career short. In 1963 he appeared in all 14 games for the Patriots, averaging 9.3 yards on 25 punt returns and 21.2 yards on 17 kickoff returns. That same year Suci led the AFL in pick-sixes (2) and interception return yardage (277). Suci was in on nine turnovers for that Patriot defense, with seven interceptions and two fumble recoveries. The Pats ranked first in yards allowed and second in points allowed that year, claimed the franchise's first title (AFL East) and playoff victory in a 26-8 victory at Buffalo. Price appeared in just one game with the Patriots. On December 19, 1971 John Mazur's squad upset John Unitas and the Baltimore Colts 21-17. The winning points came on an 88-yard 4th quarter touchdown pass from Jim Plunkett to Randy Vataha; that was the second Plunkett-to-Vataha TD connection of the day. That was the final regular season game in '71, with the Pats finishing 6-8: a four-win improvement over the previous season. It was also Kenny Price's one and only NFL game. The New England Patriots already cut ties with a 2014 sixth-round draft pick, cornerback Jemea Thomas. The Patriots whittled down their roster to 75 players Tuesday by waiving Thomas, defensive lineman Ben Bass, defensive back Travis Hawkins, wide receivers Derrick Johnson and Wilson Van Hooser and linebacker Deontae Skinner. The Patriots also placed running back Tyler Gaffney and linebacker Cameron Gordon on injured reserve. Thomas was picked up by the Cowboys, and then the Rams and Titans. He appeared in 28 special team snaps over two games in 2014, one each with St. Louis and Tennessee. he has not played any pro football since being cut by the Titans at the end of training camp in 2015. Billy Sullivan, President of the New England Patriots, is re-elected as Chairman of the Board of NFL Properties. No word on whether this experience influenced the Sullivans to branch out into other business ventures, such as bankrolling concert tours. Long before he became a fixture on Boston sports talk radio Smerlas, was an excellent local gridiron talent at Waltham High School and Boston College. He was the 32nd overall draft pick by the Bills in '79, and was named to five Pro Bowls. The Pats picked him up when he was past his prime at the age of 34, but he did not miss a single game with the Patriots. Smerlas played in 200 regular season and six postseason NFL games. He is a member of the Buffalo Bills Wall of Fame, Boston College Varsity Club Hall of Fame, and holds the NFL record for most consecutive starts at nose tackle with 110. The Pats went undefeated when Sacco played. The Fordham Flash appeared in two games as replacement player during the '87 strike. Coleman appeared in only one game for the Pats, with two kickoff returns on the stat sheet. He was originally drafted in the ninth round by the Oilers, and returned to Houston for the next four seasons. Houston Antwine was born on April 11, 1939; he would have been 80 today. He was one of the best players in football history that is not in the Pro Football Hall of Fame. Antwine is also the greatest player in Patriot history that most Pats fans don’t know about. Legitimate cases can be made for those three over Antwine, but not for the next group. In 1993 the Pats’ HoF added three more players from the sixties. Nothing against Bob Dee, Jim Lee Hunt or Babe Parilli, but Houston Antwine was a far more dominant football player. In terms of the Hall of Fame the Patriots were ‘on to the seventies and eighties’ after that, for all intents done with AFL-era players. Fan voting for the Patriots Hall of Fame will commence in the next few days. Hopefully Pats fans will carefully consider “forgotten” players, and not simply cast their ballot for the most recently retired nominee. New England acquired Brown and a 2018 fifth-round draft pick (Ja'Whaun Bentley) in exchange for the Pats 2018 3rd round pick (95th overall, Tarvarius Moore) from San Francisco on April 27, 2018. The 49ers felt Brown's conditioning and offseason work ethic was suspect. After ending 2017 with a shoulder injury the Niners used the ninth overall pick on Notre Dame tackle Mike McGlinchey. Brown had only one year left in his contract, so GM John Lynch got what he could for the right tackle. The Patriots were very thin on the offensive line after Nate Solder had signed with the Giants, so the trade was viewed as a win for both sides. Initially Brown was viewed by many as backup depth. LaAdrian Waddle, John Ulrick, Isaiah Wynn and Antonio Garcia were perceived to have a better shot at filling the gap at left tackle. At minimum Brown was veteran insurance for the rookie Wynn, the 23rd overall pick of the draft. Unlike his tenure in San Francisco, Brown dominated training camp. His dynamic skills earned him the starting left tackle position, answering the Pats top offseason question mark. Over the course of the 2018 season Brown continued to excel, and was arguably the best tackle in the NFL playoffs. While that performance was great for the 2018 Super Bowl winning team, it also meant that Brown would become one of the most coveted free agents in 2019. On March 11 he signed with the Raiders and became the highest paid offensive lineman in NFL history. 'Mount Washington' had been a four-time Pro Bowler with Buffalo and Chicago - but was 35 years old and coming off a year where he missed all but two games due to a fractured leg and torn ligament in his foot. As a result the Pats were able to obtain him for just a 2004 4th round pick, which turned out to be a bargain. Washington was superb, and a key element of that incredible defense that led the Patriots to their second Lombardi trophy. That performance and Super Bowl ring led to nice free agent payday - ironically also with the Oakland Raiders. Ted Washington played in 236 games over 17 seasons in the NFL, plus another 13 playoff games. He finished his career with 755 tackles (603 solo) and 34½ sacks. In addition to his Super Bowl ring, Washington was named to four Pro Bowls and was an All Pro in 2001. In his spare time Washington now coaches high school football in South Carolina. Wohlabaugh started 57 games at center with the Pats, and is a member of the Patriots' All-Decade Team for the 1990s. After the '98 season he signed as an unrestricted free agent with Cleveland, in what was then the largest contract ever for an NFL center. He ended up playing in 128 games over nine NFL seasons, plus eight playoff games. The free agency loss of Wohlabaugh and three other players is what resulted in the Pats receiving a 6th round compensatory pick in the 2000 draft (Tom Brady) - though the departure of Wohlabaugh is more aligned to the Pats gaining a 4th round pick in that draft. Dave Wohlabaugh now works as a financial consultant in Cleveland. A year later Brown quit pro football and began training full time to become a pro wrestler. After the death of his sister he decided to retire from pro wrestling in order to spend more time at home taking care of his extended family. Since then Brown has operated Alpha-1 Fitness in his hometown of Saginaw, Michigan. Over ten years White appeared in 136 games with five NFL teams, primarily on special teams. In early September of 2010 the Patriots acquired White and a 7th round pick from Philadelphia in exchange for a 6th round pick. White played in 42 regular season games with two starts in New England, registering 65 tackles (46 solo). He also took part in all six playoff games with the Pats in his three seasons in Foxborough. On a side note, the draft pick the Pats received in the trade with Philly along with White had a very curious route. It was included in the trade that sent Randy Moss to Minnesota on October 6, 2010. (The Patriots received a 3rd round pick, 74th overall, and used it to select Ryan Mallett.) The Vikings then traded that 7th round pick to Detroit. The Lions also sent a 4th round pick in that trade to the Vikings. That 4th round pick was one of four draft picks the Vikings traded to New England in exchange for the Pats number one draft pick - used to select Cordarrelle Patterson. In exchange the Pats used draft picks on Jamie Collins, Logan Ryan and Josh Boyce. A fourth draft pick was traded again, and eventually ended up being used to land LeGarrette Blount. White retired from the NFL after his three seasons in Foxborough. He now coaches high school football in his hometown of North Charleston, South Carolina. Throughout his career, White has earned a reputation as a solid citizen and positive influence in the locker room. With little football recruiting attention coming his way at Timberland, White considered joining the U.S. Army after high school. When an Army recruiter called the house one day, White’s mom, Patricia, answered the phone and was surprised to hear of his plans. Good advice, because a scholarship offer from Howard came through after his senior year. There, White was a three-time all-MEAC selection and named the Black College Defensive Player of the Year in 2001. It's amazing to think, before walking into Steve LaPrad's office, White had walked out of Bill Belichick's office with the New England Patriots. "I ended on my terms. I wanted to get to 10 (years). Before the season, I told my parents and family it was going to be my last year. I'm happy with what I did when I played in the league. I'm ready to start a new chapter in my life," said White. Making the NFL was a long shot for the Timberland High and Howard University grad. Sticking for a decade in the league certainly will catch the attention of his new players. "I get asked 'How many years were you in the league?' How old am I? I guess they're amazed I'm retired at 32. It's a fun atmosphere here," he said. White loves to talk about his new career. He doesn't talk a lot about his former one, but he's quick to point out his favorite NFL memory. "Automatic, starting in the Super Bowl. 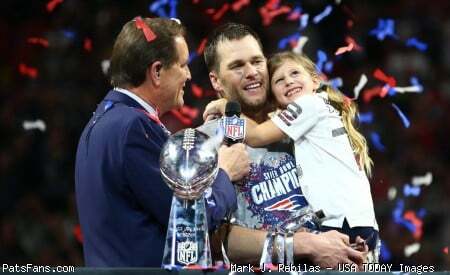 The greatest feeling, my Super Bowl appearance. Coach Belichick gave me the opportunity to start," said White. The lessons he learned are now the lessons he teaches. Roberts was a 5th round choice from Southern Miss by Houston in '92. The Pats signed Roberts early in '95 after three seasons with the Oilers. He appeared in 13 games with 12 starts for New England, with 53 tackles (35 solo). Unfortunately I am having difficulty finding much information on this former Patriot because the internet wants to either lead me to the founder of Multiplex, a University of Buffalo safety, or other namesakes. As a junior at Michigan State, Clark led the Spartans in tackles and assists, forced three fumbles, broke up six passes and had one interception. After knee surgery not much was expected from him the following season. As a senior though he came through and again led the team in tackles and assists, with three forced fumbles, two fumble recoveries and one pick. The Lansing State Journal gives Clark an 'Honorable Mention' as one of the best players from Ohio to ever play for Michigan State. Clark was selected in the 4th round (102nd overall) in the 1973 draft by Pittsburgh. He didn't stick with the Steelers, who were loaded at linebacker at that time. Clark landed in Chicago and appeared in 11 games with three starts for the Bears. The following season he was signed by Chuck Fairbanks and appeared in eight games for the Patriots in '74, primarily on special teams. That was the end of Clark's NFL career, presumably ending so soon in part due to injuries. He was one of the 4500 players that was part of the NFL's Concussion Lawsuit Settlement. Maybe Tom Brady saw the Pats utilizing that early of a draft pick on a quarterback as a slight after having just won the Superbowl, and used that to fuel extra incentive and motivation. The Pats moved up in the draft to grab Davey, trading their 4th (131st overall) and 5th (144th) to Denver for the Broncos 117th overall draft pick. Davey appeared in garbage time in just seven games over three seasons with the Patriots, completing 8 out of 19 passes for 88 yards and no touchdowns. In 2004 Davey did have a record setting season while on loan to the Berlin Thunder in NFL Europe, winning the World Bowl and being named Player of the Year. However Doug Flutie beat out Davey for the backup QB position in 2005, and Matt Cassel was considered to be the better prospect as the third stringer after outperforming Davey in training camp and preseason games. The Pats released Davey on August 29, 2005. A month later Arizona signed Davey to be their third string QB, and he remained on the Cardinal roster throughout the '05 season. The Cardinals cut Davey at the end of the 2006 training camp, ending his NFL career. He later played in the Arena Football League, where he was able to show off his two Super Bowl rings. Kansas City CB was born in Concord MA. BC alum was a replacement center for Raiders during 1987 strike. After being undrafted out of Texas A&M, Yates was originally signed by Miami. He played in three games with the Dolphins in '03. The Pats signed him to their practice squad in '04, then activated him for Super Bowl 38. He spent most of '09 on the practice squad before being promoted when Dan Koppen went on IR with a shoulder injury. Yates appeared in 22 games with 11 starts with the Patriots from 2005-2008, including seven starts in '08 when Stephen Neal was injured. Billy Yates was named head strength and conditioning coach for the BGSU football program in January, 2016. Yates had previously served as the assistant strength coach at Texas Tech for three years. After a playing career at Texas A&M, Yates enjoyed an eight-year career in the National Football League. During his eight seasons, Yates played for three different franchises including a five-year stint with the New England Patriots where he helped them to a Super Bowl win in Super Bowl XXXIX. He spent his final two seasons with the Cleveland Browns before retiring in 2010. Yates made 14 starts and played in 41 total games during his eight seasons in the league. After retiring from the NFL, Yates began his career as a strength and conditioning coach at Texas A&M. After one season with the Aggies, Yates spent three seasons in Lubbock. Gordon has no stat line with the Patriots. He was presumably cut at the end of training camp, or perhaps on the Pats practice squad. Gordon later spent time with San Francisco, Denver and Cleveland. He appeared in 13 NFL games, all with the Niners in 1998. According to LinkedIn, since his NFL days ended Gordon has been a Major Account Manager with Sharp, a Regional Manager for Konica Minolta, Branch Manager with Ray Morgan and now is the Regional Sales Manager for CenterVue for northern California, Nevada and Utah. Gordon’s prowess on the offensive line earned him a scholarship to play at the University of California, Berkeley, where he shifted to center and was a starter for four years. While at Cal, Gordon helped the Bears to a Copper Bowl championship in 1990 and a Citrus Bowl title in 1991. He was named an All-American in 1991 and was also earned the “Tiny Bates Award” which is awarded by the University Alumni Association and given to Cal football’s to the Most Outstanding Player of the Year. In 1992, Gordon was drafted in the 10th round by the New England Patriots. He would bounce around the NFL for eight years, eventually landing with the 49ers where he garnered substantial playing time and a handful of starts. He wrapped up his playing career in 2000 with the Cleveland Browns. After his playing days concluded, Gordon couldn’t stay away from the field and dabbled in coaching. He coached for the Folsom Junior Bulldogs program for eight years, winning seven championships along the way. He also spent a year coaching offensive line at Rocklin High School, and logged five years coaching his daughter in AAU youth girls basketball. The QB went 0-4 in 8 games from 2000-03. the 3rd round pick of the '99 draft is the brother of Damon Huard, Patriot QB from 2001-2003. Tom Graham was born 4/15/50. The linebacker spent seven seasons in the NFL and is the father of former Patriot TE Daniel Graham. The Bengal and Bronco WR is the brother of bug-eyed former Patriot WR Reche Caldwell. Middleton CT native started 26 games at strong safety for Detroit from 2010-12. Williams is a graduate from Gloucester High School and the University of Rhode Island. The offensive lineman was a 5th round draft pick by the Rams in 1977 and played in 56 NFL games from 1977-82.